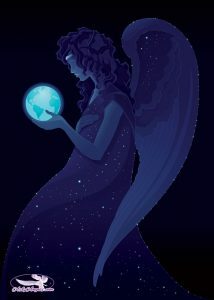 The Guides and Angels of Light have connected again to deliver a compelling and light filled message for you to enjoy. Love is power and you can only connect with your power when you go within. Namaste, and many blessings to you! Greetings, we are here. We are the guides and angels of light. Indeed, a powerful energy, a high vibration, is present on your planet now. Know that indeed, the energy of now is conducive for you to connect with your full light, your Christ light, your inner Buddha, enlightened self, your power. When you open your heart and look within you find your own source of power. Connect with your inner light now, dive into it, and surrender to it. Allow your light to build and grow. Focus your awareness on your heart to begin to feel this, the light of your spirit. Experience your light, your divinity, your enlightenment that is already, that always has been. Breathe in the light, feel yourself lift, and allow the peace of the now to wash over you, to cleanse your energy, your spirit, your body. Feel your heart beating inside your chest as life force, your blood, flows throughout your being. Feel your connection in this now to your light, to your higher self, to divine love. Feel the peace, experience the well-being; standing firmly grounded in the light, you are indeed. You are in the process of transformation. As your inner ideals align with your outer world, acknowledge the changes and the growth that you have encountered and allow yourself to see, to dream, to remember your highest potential, the full essence of your light. Within this meditative state of open heart and pure connection with love, know that there is nothing you must do. Simply be. Imagine you are looking down upon yourself, observing this very now, observing your response, your thoughts or lack thereof. However these words and energies and frequencies affect you, watch, feel, and listen from this place of observation. Everything is well, everything is on track, and you are connected. You are in the presence of divine energies of love, of your higher self, of your angels, of your guides and of the enlightened beings, indeed. All this wisdom of those who have walked before you can be attained, realized, and experienced by you right now. Enlightenment, ascension, your Christ consciousness, and inner Buddha, are not outside of you. Know that it is, within it is here in this now, and it has always been here. You have always had full access to your power, to the universal knowledge, wisdom and light. Have you been tuning in? It is your mind that wanders, judges and doubts, but your heart has known the truth. And as you open your heart now, your mind will be unable to deny this presence. Not our presence connecting with you, but your presence, your spirit, your heart, your light fully present in this now. Originating in your heart center, but continuing throughout your body and being, a white column of light is running down your spine, opening and activating the centers of light therein. Your chakras align, awaken and open. Your energy does not end here; indeed, it extends above your head, extending into the sky. Tune in to this place. Tune in to your light body, your spiritual energy centers, which allows you to indeed connect with your full experience of the Divine. With the balanced masculine and feminine energy that makes up your soul. You are able to connect with cosmic consciousness and with divine love, and you have always had this power, had this light. You have always had this connection, and yet, ego mind and beliefs and conditioning have caused many to forget. At this time now, the bright and luminescent moon in the sky helps you to remember. Remember that you are love. You are spirit, first, and foremost. And with this memory, with this connection to your spiritual source and power, the alignment of your inner desires and your outer world will meet. There is an opening now, an access point, a possibility to let go of struggle, to release suffering, to surrender trying to make your life work. There is an opportunity now to step into the flow, the light, the well-being that is all around you, not judging or worrying or wondering, but simply being present with this light, with your light, feeling in this now the interconnectedness of all that is. Your ability to make a difference, to help and to grow is made possible when you are in a state of allowing yourself to be illuminated. This is your natural state of being. It is your mind that thinks you cannot, that thinks you are small and powerless. But the truth is that your body, your spirit and your consciousness hold great power indeed. Accept, align, and integrate your light into your body now. Relax and feel the incredible connection that is here. The spiritual you, the light being that you are, is filling your physical self, expanding your awareness, your perceptions. Open to your light, your gift, your truth. Open to your willingness to speak, to love, to share. Open to your memory of your divinity, of your light, and love your path, yourself in this very now. For now is your new start, your fresh opportunity to be the observer and participant in your life, to flow with the changes and developments on your planet, to dream of peace, to hope for the well-being and connection of all. Your light brightly shines within you, your heart center expanding beyond your physical in this. Feel your energy grow and lift. Be willing to become bright, bright light making a difference, illuminating a world in darkness. Do not fear the darkness. Shine your light and the well-being, the abundance, the joy, and the love that this light encompasses, will bring your true internal desires and intentions, which are in line with consciousness, into being. You are in the presence of angels, and you are in the presence of your guides. And we are in the presence of a powerful, loving spiritual being. We acknowledge your suffering, the duality that has brought you to now. But know that blessings and happiness await—joyful bliss, enlightened being, trust, love, radiance, passion. Through your open heart you are able to stay connected to your full spirit. Stay open to full possibility. Allow blessing in. Allow love in. Open to receive the well-being and the light we offer you now. Love yourself, for you are divine. And love is your fuel, love is your power, love will unite you all. And love will bring the new paradigm for your planet into being. Allow our love to wash over you, to soothe your body, your mind and your spirit. And know that you too hold this gift to offer your love to one another, to support each other and yourself. Love holds more power than you may comprehend. Play with love, open your heart to love and your enlightened paradigm on earth will come to be. It is, it already has and it shall come to be. We love you and your love indeed holds great power. Tune in to your heart and allow your love, your light to build and grow and lift.